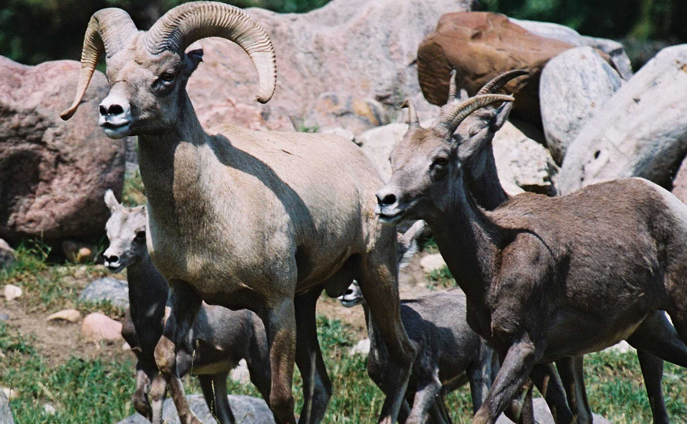 The most notable feature on a bighorn sheep is the large, curled horns sported by the rams. Competing rams fight by running toward one another at speeds of up to 32 km (20 mph) and ramming their heads together. Their double-layered skulls are strengthened by struts of bone, which protects them from fractures. For most of the year, the ewes and lambs live in herds separate from the rams.